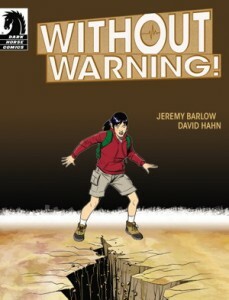 Dark Horse Comics, the Oregon-based publisher of such iconic titles as Star Wars, Sin City and Buffy the Vampire Slayer, has teamed with the Oregon Office of Emergency Management and the Cascadia Region Earthquake Group to produce a new, free comic about earthquake preparedness. Without Warning tells the story of a girl who lives on the Oregon Coast and is trying to reunite with her family after a major Cascadia Subduction Zone earthquake. The digital version of the 16-page, full-color comic, written for audiences age 12 and up, can be downloaded free from Dark Horse; free printed copies are available from the Office of Emergency Management. Oregon is located in the Cascadia Subduction Zone, a 600 hundred mile earthquake fault stretching from offshore Northern California to Southern British Columbia. Experts predict a large 9.0 or higher earthquake could strike Oregon at any time. Oregon Sea Grant, through its coastal natural hazards program, works to help coastal towns and residents prepare for the Big One.